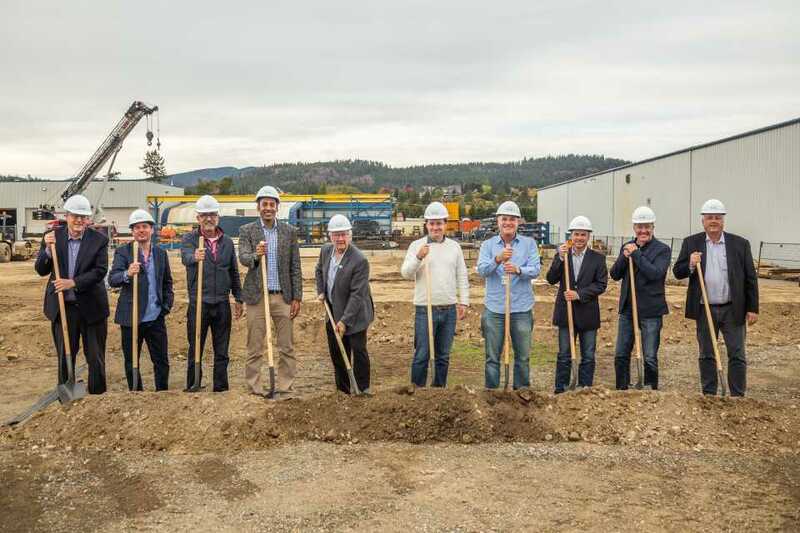 Executives from The Flowr Corporation, The Scotts Miracle-Gro Company and Hawthorne Gardening were joined by elected officials at the ground breaking for the companies’ cannabis research and development facility in Kelowna, British Columbia. Left to Right: Mr. Steve Thomson, Member of the Legislative Assembly, Kelowna-Mission; Tom Flow, Co-Founder & President, Flowr; David Aronowitz, Business Development and Government Relations Lead, Hawthorne Gardening; Vinay Tolia, CEO, Flowr; James Baker, Mayor of District of Lake Country; Chris Hagedorn, Senior Vice President and General Manager, Hawthorne Gardening; Steve Klein, Co-Founder, Chairman & Chief Strategist, Flowr; Mr. Norm Letnick, Member of the Legislative Assembly, Kelowna-Lake Country; the Honourable Stephen Fuhr, Member of Parliament, Kelowna-Lake Country; and Michael Lukemire, President and COO, The Scotts Miracle-Gro Company. Photo Credit: The Flowr Corporation. The Flowr Corporation, a Canadian Licensed Producer of premium cannabis products, and Hawthorne Canada Limited celebrated on October 18, 2018, the ground breaking for the construction of North America’s first research and development facility dedicated to advancing cannabis cultivation techniques and systems. Hawthorne Canada is a subsidiary of Hawthorne Gardening Company, which provides an array of tools for a multitude of gardening needs and is a subsidiary of The Scotts Miracle-Gro Company. The 50,000-square-foot facility is located on the cultivation campus Flowr is constructing in Kelowna, British Columbia, Canada. The facility will include laboratories, indoor and greenhouse grow suites, training areas, and genetics breeding areas in a single building. Flowr expects to develop and test Hawthorne cultivation systems, such as lights and fertilization and irrigation systems in the facility. Flowr also intends to research genetics and cultivation data analytic systems in the facility. Hawthorne is funding the construction of the facility, which is expected to be completed in the summer of 2019. The facility is the centerpiece of an exclusive strategic research and development (R&D) alliance Flowr and Hawthorne created in March 2018. Hawthorne selected Flowr for this alliance based on the technical expertise of Flowr’s design, build, and cultivation team under the direction of Flowr Co-Founder Tom Flow. Flow is widely recognized for his cannabis thought leadership and expertise building and operating cannabis cultivation facilities. He also co-founded MedReleaf, which recently was acquired by Aurora for $3.2 billion (CAD). The alliance makes Flowr one of only three Canadian cannabis companies with a business partnership with a publicly traded U.S. company, along with Canopy and Hexo. Flowr’s campus in Kelowna will include an additional 85,000 square feet of cultivation, processing, and office space that is currently approximately 20% operational and is expected to be fully complete in early 2019. These facilities employ proprietary cultivation systems and are engineered to meet pharmaceutical quality production standards, allowing Flowr to grow premium cannabis flower. Flowr expects to produce upwards of 12,000 kilograms of cannabis flower in the facilities beginning in 2019. Together, the R&D and operations facilities are expected to more than 200 jobs following their completion. The Flowr Corporation, through its subsidiaries, is a vertically integrated Canadian cannabis company focused on the natural science of cannabis. 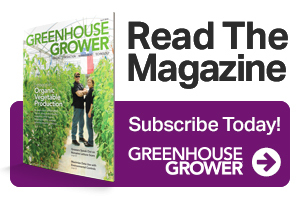 With head offices in Markham, ON, and production in Kelowna, BC, Flowr builds and operates large-scale, GMP designed cultivation facilities utilizing its own patented growing systems. Flowr’s investment in research and development is expected to enable its cultivation team to supply patients with consistent, high-quality medicinal cannabis. With a sense of craftsmanship and a spirit of innovation, Flowr is well positioned with a line of premium quality cannabis products for the upcoming adult-use market. 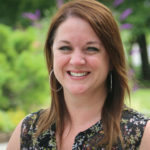 Hawthorne Gardening Company is a house of brands that provides an array of tools for a multitude of gardening needs to help people live happier, healthier lives through gardening. The company is dedicated to creating high-quality products founded in social and environmental responsibility and creates engaging consumer experiences that empower more people to garden no matter where or how they choose to grow. Hawthorne is a subsidiary of The Scotts Miracle-Gro Company, a leader in gardening and lawn care products.